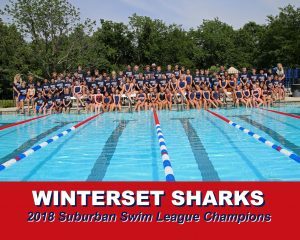 2018 Suburban Swim League Champions! The 2019 Winterset Sharks Swim Team is full. Please email us at wintersetsharks@gmail.com to be put on the waiting list. The 2019 Schedule is posted here! 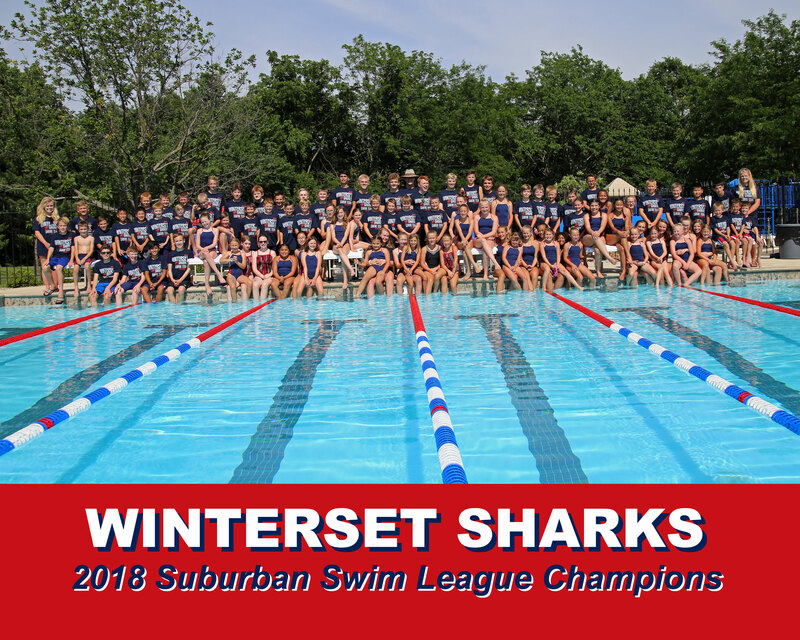 The Winterset Sharks Swim Team is one of eight teams that comprise the Suburban Swim League. This recreational league seeks to provide a fun, fair and safe environment to develop swim skills in our youth. The 2018 season will begin May 29th and continue through the League Championships on July 13th and 14th. Winterset residents who are 6 -18 yrs old as of June 1st and whose parents are residents in good standing with the Homeowners Association are eligible to participate in the program. Please read all consent forms and agree to them. These provide important information regarding participation policies. You may also read these policies on our website registration page. July 14: Team Party, time TBA PRACTICE TIMES: Practice sessions held Monday through Friday mornings at the Family Garden Pool. Evening practices will be Sunday, Tuesday and Thursday at the Family Garden Pool. There will be some evening practice availability for swimmers who need to make up a practice to get their required 60% practice attendance.